Add any website to Pulse: The Ultimate News App. Pulse needs no introduction. It’s one of the finest and best news app available for any OS, be it Android, iOS, Mac, Windows and as a web app. It streams all the content you want, from all sources at a single place. That is why, it’s a favorite of many, including me. One can add the sources from which data should be retrieved but there’s a limitation. Only popular websites are available as options. What about other blogs or sites? Pulse developers seem to have considered this. 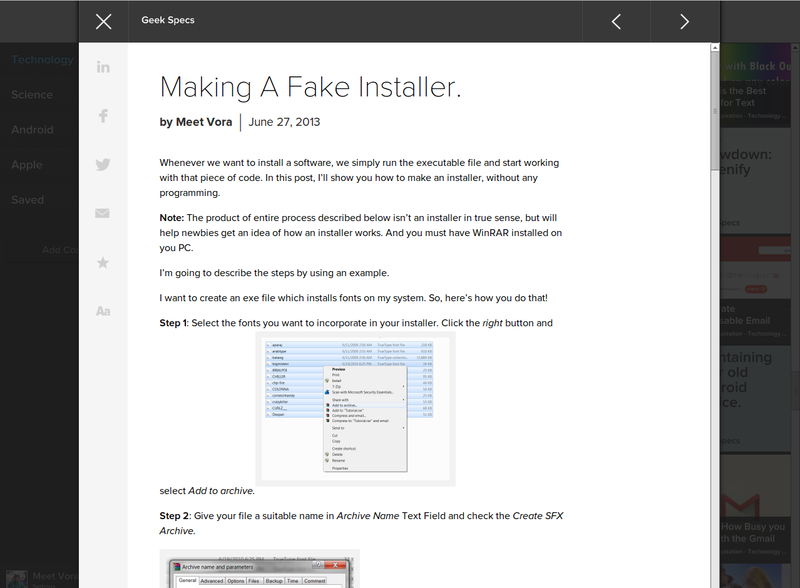 Yes, you can use Pulse as an RSS Reader and add any site or blog you desire. You can also add YouTube Channels. A GeekSpecs Article in Pulse. Just follow the two steps and make Pulse your complete knowledge hub. Step 1: Go to Add Content tab, which should be with the current pages menu. 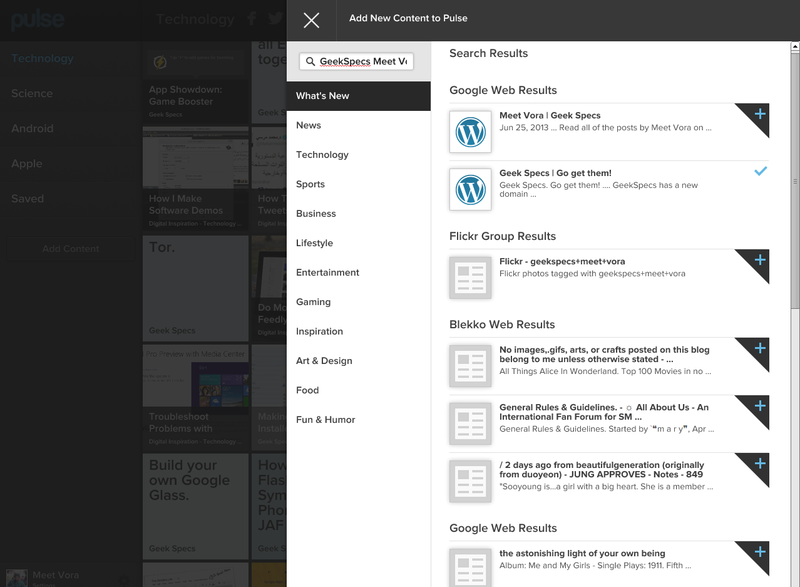 Proceed to Add New Content to Pulse and type the website’s name in the search bar, that you want to add. 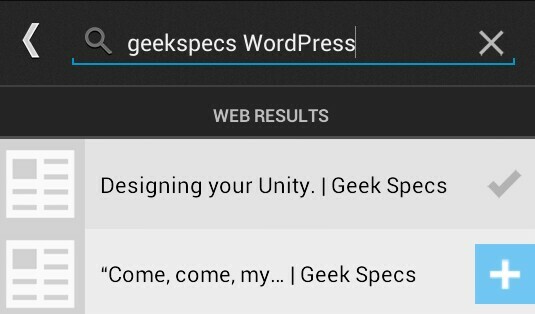 Refering to the screenshot below, I have searched for GeekSpecs Meet Vora or GeekSpecs WordPress, which successfully shows my blog. And do not worry about the page it shows. Just add any search result you see. Step 2: Add any YouTube Channel you desire. 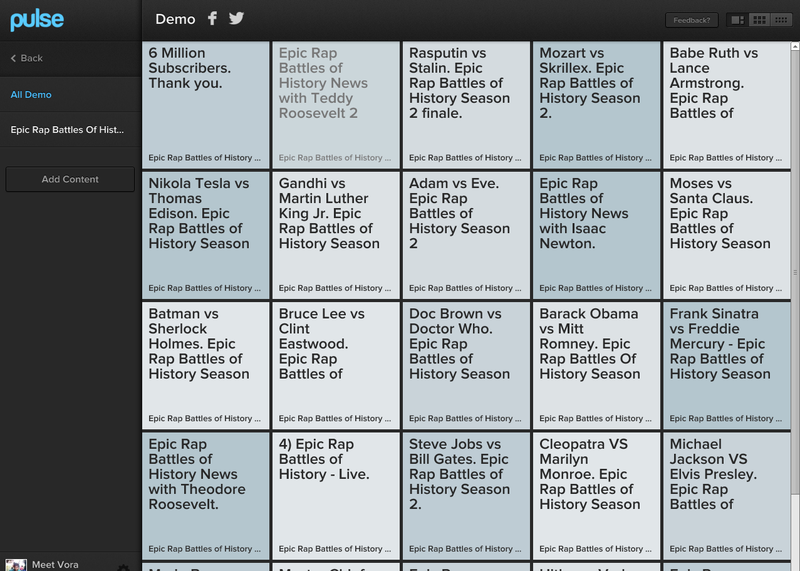 I’ve demoed the feature with ERB. So, there you are, having Pulse transformed into an all-option service. For those who haven’t tried out this awesome service, here are the links.